This year’s Development Studies Association meeting was the biggest that I have attended: a two-and-a-half-day affair chock full of panels, events and conversations which displayed a level of maturity that our community sorely needed. While there is still a lot to do when it comes to making panels more interactive and presentations more engaging, we appear to be on the right course. However, what I found most interesting about this year’s meeting was the attempt by the organisers to reconcile – or at least, represent – the two faces of our little academic community. DSA 2016 had two keynote lectures by well-regarded scholars, and the two of them could not have been more different. The first day we had anthropologist Tania Li, author of the celebrated The Will to Improve, who used her lecture to reflect on the current moment in world history, and specifically asked us to reflect on the validity of commonly held beliefs about development: whether as an immanent, inescapable social path towards capitalism (the proverbial tide that lifts all boats), or as a purposive effort to make incremental improvements in the life of the poor and powerless (which animates the development industry). In a lecture that was as carefully written as it was provocative, Tania Li challenged some of the core assumptions of those of us working under the hope, illusion or pretence that we can make things better while retaining the capitalist system. Indeed, as a critical scholar, she doubted the feasibility of this idea, asking instead for a practice of politics that protests structural inequalities and searches for real alternatives. The second day we had economist James Robinson, prolific co-author of the famous Why Nations Fail but also a lot of seminal contributions in the political economy of development. Robinson’s lecture presented to us a new framework for understanding historical trajectories of state-building. Questioning the fundamental identification of state-building with state-building elites, he instead construed the process as an interaction between state and society, which he illustrated with concrete and detailed historical examples, before laying out a formal model that presents three steady states: strong state-strong society, strong state-weak society, and weak state-strong society. In a way, this is the next foray of Acemoglu and Robinson into historical institutionalism, picking up early ideas from scholars like Joel Migdal. The lectures were as different as the disciplines which they embodied: anthropology vs economics, critical theory vs positivism, discourse vs formal modelling. But, taken together, these two keynotes were also representative of broader trends in development studies. Development studies is a strange place, where people from many disciplines can find or develop their own niche. It is not a discipline in itself, so much as a community of like-minded scholars who study similar themes around development. It is very much a product of the UK: in the United States, for instance, strong intellectual and administrative boundaries separate the different disciplines, and development may be the object of analysis within any one of them. Perhaps because it is not an actual discipline, development studies has served as a big tent where all kinds of epistemological and methodological approaches can coexist. It is not surprising, therefore, that some people see Robinson not as an individual scholar, but as a representative of a hegemonic view of scholarship that focuses on modelling, statistics and experiments. This view is particularly common among those with roots in geography and anthropology, or who may feel much closer to the humanities than the social sciences. Perhaps anecdotally, Robinson’s keynote was not as well attended as Tania Li’s, and I did hear one colleague say that he was not interested in the talk because the blurb mentioned a formal model. There is a rebellious strand within development studies that is always watchful of attempts at hegemonic imposition of any kind. Out there, it may be capitalist or identitarian hegemony; in here, it is one of a more disciplinary kind. These people see scholars like Robinson as outsiders in development studies: at worst, they are fifth-columnists seeking to undermine the intellectual freedom that is required for critical theory. This view is self-defeating for two reasons. First, many of our funders – like DFID – are increasingly required to demonstrate the impact of research, which has generated a more stringent set of conditions for awarding research grants. Qualitative work by itself does not cut it any more: the most successful applications tend to incorporate mixed methods that include quantitative analysis or even modelling. Second, there are still many researchers within development studies who do not see themselves as critical scholars, and may in fact indentify with the conventional disciplines: that is most clearly the case with many development economists, who feel more comfortable talking to non-development economists than to critical development theorists. Whether we like it or not, positivist scholarship has always been part of development studies, and external factors are likely to make them all the more prominent. We ignore this at our own peril. And it is in this sense that I found Tania Li’s keynote wanting. Still, development studies is not an insular academic community: it is very much tied to current events in the developing world and, increasingly, in the global north as well. While we can heed the call for methodological rigour (whether idiographic or nomothetic), we must not lose sight of the real-world concerns that motivate us in the first place. Time and again, the work of Acemoglu & Robinson has failed to answer the “so what” question. Because they trade in equilibrium analysis, they do not have explanations for how actors move from one steady state to another: from democracy to authoritarianism, from extractive to inclusive, from low to high state capacity. This is a symptom of the hyper-specialisation of (American) social science, where scholars are rewarded for occupying a niche, building a wall around it, and drilling down as far as humanly possible. The result is a disconnect with the real world, whereby applicability is sacrificed on the altar of parsimony. The more methodologically sophisticated, the more controlled an analytical environment, the less likely a finding could be replicated elsewhere. In experimental terms, disciplinary studies of development have mastered the art of internal validity, but are very much unable to demonstrate any external validity. There is thus a central role for critical thinking in development studies: positivist methods can tell you why something happened, but they cannot tell you why it matters, and whether it is a good or bad thing. While we as a community could benefit from being a bit more rigorous in our research designs, we still need that creative and disruptive strand of thought that keeps us intellectually honest. This is particularly necessary given the demand for “evidence” coming from practitioners, which can lead to an uncritical reading of “policy implications”. Development studies without a moral standpoint becomes a motley collection of disparate scholars: it is our ethical choices that make our community what it is. And the only way to keep our worst utilitarian instincts in check is to have a vibrant strand of critical scholarship. 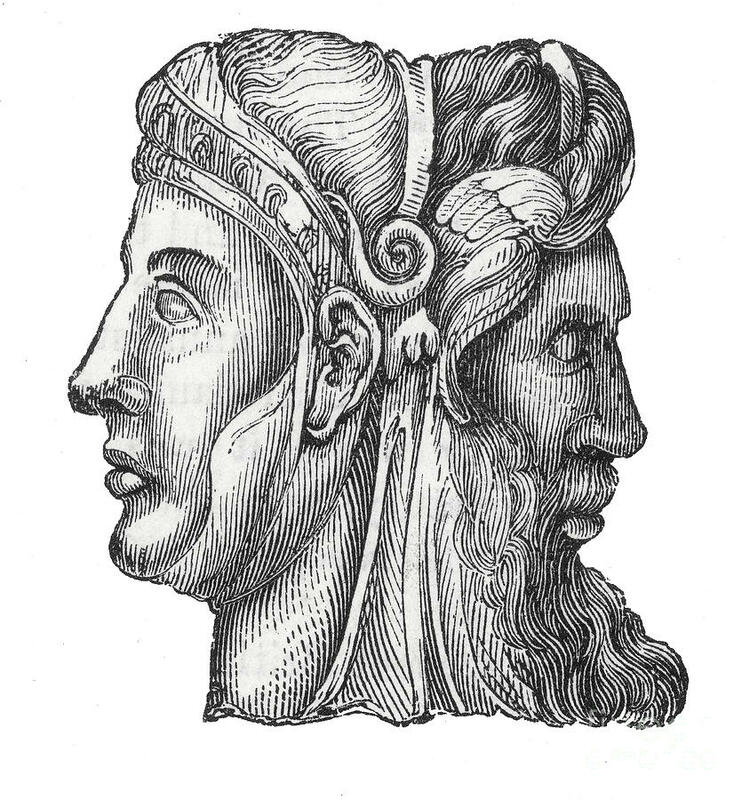 The two faces of development as represented in DSA 2016 make me think of the ancient Roman god Janus: the titular god of beginnings and endings, of transitions and time, of gates and journeys. He was depicted as having two faces, one looking to the past and the other to the future. And he was invoked in most ceremonies throughout the year, despite not having a dedicated priesthood of his own. It sounds to me like he could be the god of development studies too.